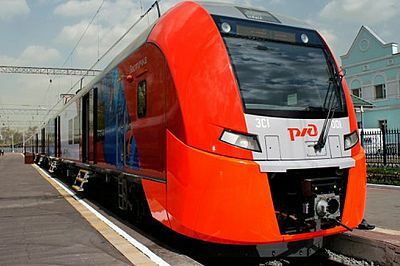 Lastochka train, Buy Lastochka train tickets online quickly and easily. 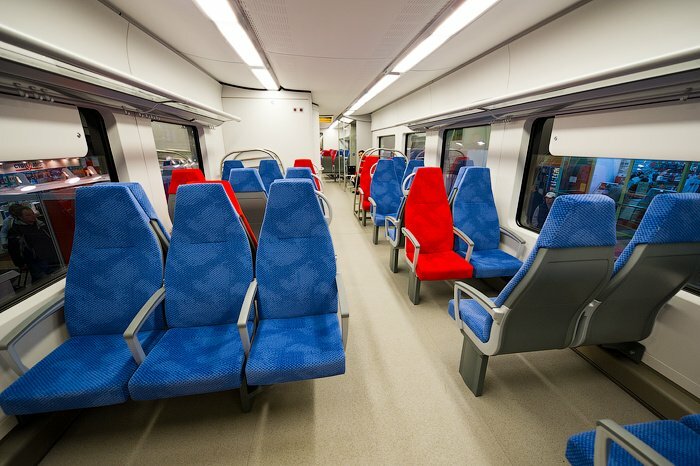 Lastochka trains operate on several routes including Moscow - Nizhny Novgorod and St. Petersburg - Veliky Novgorod. 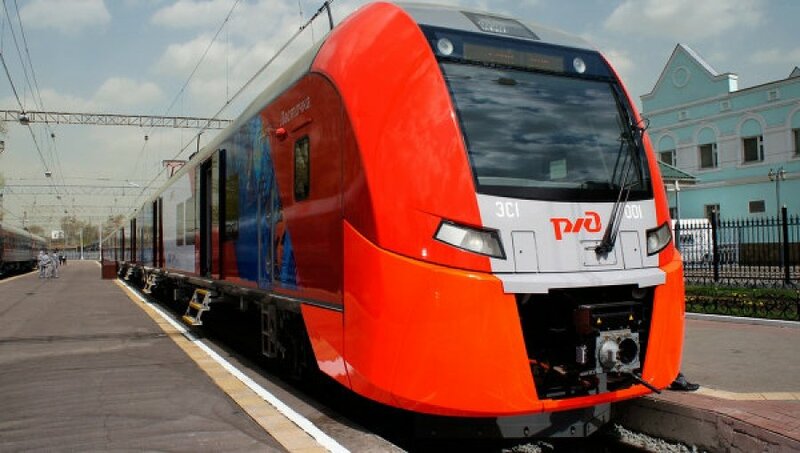 These are high-speed electric trains of the Velaro RUS series produced by Siemens Transportation Systems. Lastochka is specially adapted for Russia and can operate under outside temperature of -40 C.
The train consists of 5 carriages with 2nd class seats. Trains operating on busy destinations may have 10 carriages. 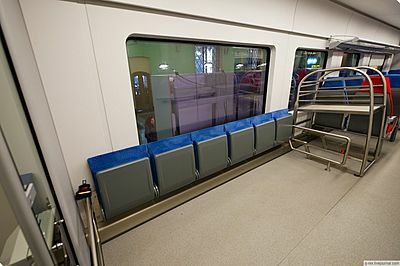 Each train has several seats for disabled passengers. Lastochka trains are similar to Sapsan high speed trains. They also have electronic display showing the route, time and speed of the train. The train's maximum speed is 160 km/h.